Andrew Fleming reviews 'School Wars' by Melissa Benn, and discusses how a focus on the reactionary nature of recent education reforms threatens to obscure a vastly more important and unprecedented change to the way our nation’s schools work. 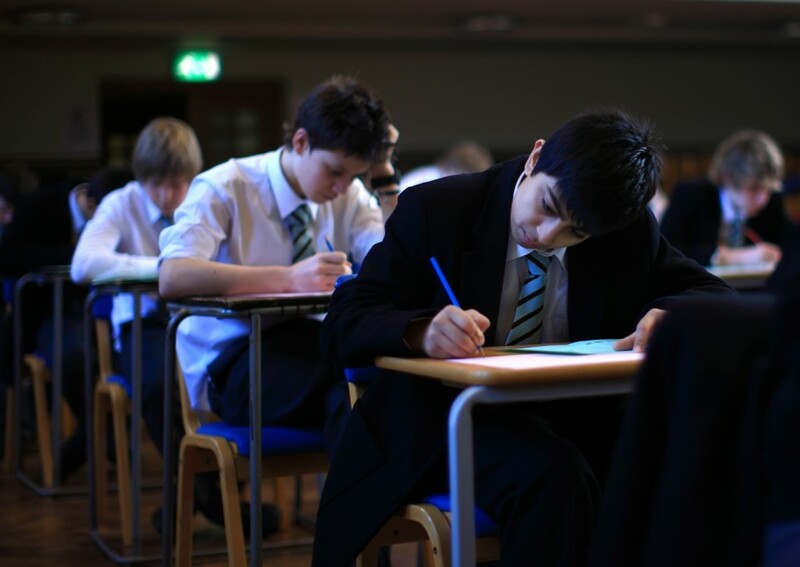 Early in 2011, Education Secretary Michael Gove announced that the spine of the national curriculum should consist of ‘a traditional education, sitting in rows, learning the kings and queens of England, the great works of literature, proper mental arithmetic.’ Gove’s invocation of this language of conservative, old-fashioned pedagogy caused a considerable stir, particularly on the left. In my own field, history, there were concerns that the current diversity of topics which students can encounter over the course of their school career would be replaced with a teleological, Our-Island-Story narrative of liberal progress; these was magnified when Niall Ferguson, an outspoken advocate of such an approach, promised to throw his weight behind redrawing the curriculum. English lessons which enshrined ‘the great tradition of our literature: Dryden, Pope, Swift, Byron, Keats, Shelley, Austen, Dickens and Hardy’ – again Gove’s words – threatened to roll back and narrow down the parameters of a literary canon that had been progressively widened in terms of chronology, gender and race to incorporate a much broader range of voices. That these proposed changes drew the ire of progressive educators, parents, and observers is understandable. 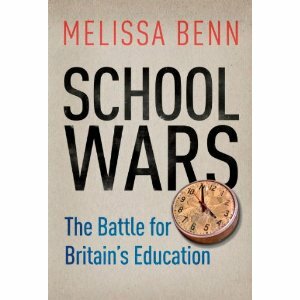 As Melissa Benn’s superb book makes clear, however, a focus on the reactionary, back-to-basics language of such reforms threatens to obscure a vastly more important and unprecedented change to the way our nation’s schools work: the importation of the language and culture of private industry, with its relentless focus on quantity (that is to say, formal results), rather than the quality of a rounded education. Over the course of its brief but tightly argued two hundred pages, Benn makes clear that the real threat is not the fusty conservatives calling for a return to rote learning, but the breakneck speed at which the business world is being enmeshed with the provision of our children’s education. As she makes clear, these changes are bound to issues of class and social stratification that are far more subtle, and worrying, than they appear at first glance. Benn’s book is split into three main sections. After an introduction to the current state of play, the author sets out the history of education in this country since the end of the Second World War. The story of the (roughly) tripartite postwar division of education into Secondary Moderns, Secondary Technicals and Grammars, and the rigid stratification of class boundaries therein enacted through the eleven-plus exam, is a reasonably familiar one. As Benn points out, dividing children into winners and losers at this age had an immeasurable effect on generations of learners, left embittered by state-sanctioned curtailment of their prospects even before their teenage years. This is a situation that has been muffled by the crowing praise for grammar schools prevalent in the media. This is typically voiced by those lucky few who were lifted out of their immediate environment and catapulted into positions of power by their passage through the grammars (and, as Benn points out, the eleven-plus always favoured the children of middle-class parents in any case). Benn’s account of comprehensive reform in the sixties and seventies is complicated, perhaps, by the fact that two important players were her own parents: the education researchers Tony and Caroline Benn (the latter was also a governor of the model progressive school Holland Park, also Melissa Benn’s alma mater). She is on firmer ground in discussing the seeds of private sector involvement planted by New Labour, particularly nascent moves towards academies and faith schools, run outside the frameworks of local authorities. These tentative reforms were taken up with great enthusiasm, and implemented on a far greater scale and a hurtling pace, by the new coalition. It is in the second section, where Benn goes into detail about current educational reforms and their social consequences, that the critique presented by School Wars is at its most devastating. In the book’s introduction, Benn demonstrated how educational sea changes such as the adoption of academy status, or the establishment of free schools, were being rushed through with a lack of consultation and level of financial coercion tantamount to bribery. Here, she gives a considered and quietly furious analysis of the possible effects of these developments. 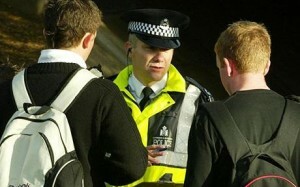 These are the schools – often in deprived areas, with a high proportion of students on free school meals, with English as a second language, or suffering from disrupted family backgrounds – which not only habitually get a kicking in the media, but are increasingly undermined by much better-funded initiatives with private sector support, such as academies. Benn acknowledges that some of these schools have had real successes in improving results, but is particularly perceptive about their corrosive effect on stagnating intellectual aspiration and entrenching class divisions. 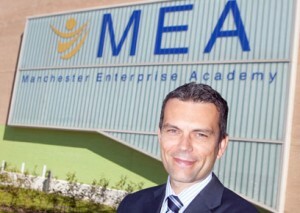 One of the most dispiriting examples here is Manchester Enterprise Academy. One the one hand, it’s a well-funded, well-supported modern school in an economically depressed area, surely something to be welcomed. A significant proportion of that funding, however, comes from lead sponsor Manchester Airport, and this is reflected in the ‘package of qualifications’ students are strongly encouraged to take in order to ensure future employability. We are a long way away from the world of intellectual aspiration, available to all, that underpinned the comprehensive ideal; instead we’re back in the patrician framework of the secondary modern, preparing a captive workforce shaped by the imperatives and necessities of corporate backers who fund their schools. Sir Cyril Burt wrote, in 1950, that the goal of education should be ‘to discover what ration of intelligence nature has given to each individual child at birth, then to provide him with the appropriate education, and finally to guide him into the career for which he seems to have been marked out.’ With the best of intentions, academies such as these seem to be enacting Burt’s class-based demarcations – and do so with a substantially larger share of the pot than traditional comprehensives under the control of local authorities. The phrase ‘package of qualifications’ gestures towards the ugly language of the boardroom that increasingly infects both ends – input and output, if you will – of the pedagogic process. Chains such as ARK, the Harris Foundation, and E-ACT – organisations that run whole groups of schools – happily adopt not only the attitudes and approaches of the marketplace towards getting results at any cost, and are happy to reap the financial rewards as well, even while profit-making officially remains a grey area in education provision. The idea that the experience of the private sector can be brought to bear on improving schools and resolving social problems is also prevalent in external schemes aimed at improving results, such Teach First and the Private Equity Foundation, further entrenching the alliance between corporate and educational interests. These projects, Benn argues, are often instigated by bright and successful individuals, often from poor backgrounds (a profile, it should be pointed out, not dissimilar to Michael Gove himself), who are dissatisfied with the perceived injustice in the existing system and seek to encourage enterprise and aspiration in children from similar circumstances. This is, of course, entirely laudable; but, as Benn explains, it has the effect of creating an education system that might be caricatured as raising the brightest and the best from the hopeless quagmire around them – much as grammar schools were thought to do – rather than raising the standard of education for the worst-off in society as a whole. Conversely, evidence from Finland to South Korea to Canada suggests that it is the most equitable schools – that is, those that practice the least formal or informal selection, academic or socially – that top the world league tables. The coalition government has, in fairness, looked abroad for inspiration from apparently successful programmes; this has, however, predictably tended to focus on schemes that privilege private sector involvement. Swedish free schools, for example, echo the grammars of the mid-twentieth century in mainly benefiting the children of educated and motivated middle-class parents. Much-vaunted American KIPP schools – the acronym stands for the frankly creepy ‘Knowledge Is Power Programme,’ if you were wondering – take far fewer students with disabilities or English as a second language than their far less well-funded counterparts in the public sector, and furthermore tolerate an extremely high dropout rate compared to public schools that have no choice but to persevere with disrupted or disruptive pupils. Appreciating the good that these schools do for the students that are able to stay the course, Benn is nevertheless right to say that their results are not replicable across the public sector, both in terms of funding and intake, as Barack Obama is learning to his cost as he attempts to expand the KIPP programme. In these schools, as in our own new academies, a high-profile emphasis is on getting results and driving up standards. This is, of course, tricky ground no matter where you stand on the political spectrum. There seems to be consensus that attainment should be measured, and formal assessment is the most straightforward means of doing this. But should grades be the principal constituent element of a child’s education? How much meaning do these qualifications have when the top private schools routinely measure GCSEs and A-Levels only in terms of A*s and As achieved? And, at the other end of the scale, how clear can the picture be in struggling schools or academies where jobs and profits are on the line, and results must be improved by any means necessary? After these penetrating analyses, Benn somewhat loses steam in her closing remarks. The third part of the book is given over to describing the shape of things to come, and suggesting some alternatives. She is quite right to say that, as things stand, the most likely outcome appears to be a ‘school landscape shaped by naked competition, rather than managed collaboration’; that is, an education system run according to the logic of the marketplace. But given the stridency and anger present in the rest of the book, her proposed solutions seem somewhat tentative; a reconsideration of earlier free-school pedagogies, a lessening of emphasis on assessment, a redirection of taxpayers’ money from foreign wars to the education of their children. It might be over-ambitious to expect more from this section. 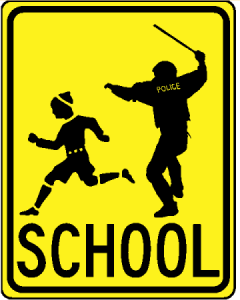 School Wars provides ample evidence that an approach to education inspired by the free market, and founded on a competition in which the dice are loaded, is deleterious, regressive and unjust. If this book is read as widely as it deserves to be, the author will have started a conversation that might just arrest this trajectory.